The Celestial Sphinx and the Jupiter-Spica Triple Conjunction of 2017. Now that the Sept. 23rd, 2017 date has passed, we can now exhale and take stock of what has been going on in the heavens during this time! Plenty!! As I have documented for over 20 years in the Celestial Prelude, it was the retrograde motion of the King planet Jupiter in the Triple crowning of the King star Regulus in Leo, the Lion of the Tribe of Judah, that represented the celestial coronation of Jesus Christ the Promised Seed, on Sept. 14th, 3 BC, three days after Christ’s birth. As one of the 12 Characteristics of the Celestial Prelude, planets in retrograde play a key role in the celestial signs marking both the Birth and Return of Christ, specifically Jupiter. As we will document in our next couple of blog posts, there are other key planets in retrograde that bring a powerful and enlightening message related to Jesus Christ in the end-times. 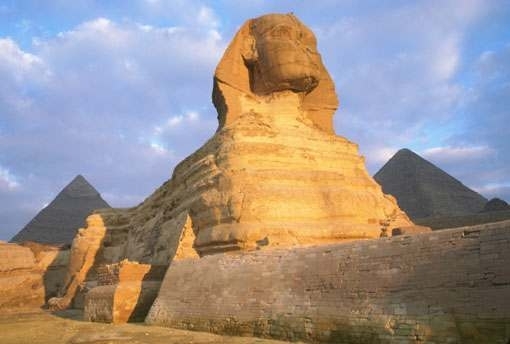 First however, we need to set the context of the Celestial Sphinx, and nothing I know will do this better than our introduction to this subject from the study on The Great Sphinx below, edited and updated for our purposes here, [www.try-god.com]. As the earliest colossal statue in the world, the Great Sphinx is truly a monumental marvel of ancient Egypt. Due to prevailing uncertainty about the architectural symbolism of the Great Sphinx, a number of “alternative theories” have been circulating of late, regarding its age and the traditions associated with it. Due to the large number of minor sphinxes that remain intact from ancient Egypt, the Great Sphinx has regrettably been lumped in with many of its inferior later copies, like the ram-headed sphinxes based on idols like Amun-Ra, or the Pharaohs; (sphinxes with a man’s head). Because of evidence uncovered and detailed in this study, I believe it is a mistake to include this singular exemplar of the Great Sphinx, the model of all its lesser reproductions, along with inferior copies like the ram-headed Crio-sphinxes. The Great Sphinx was not viewed as a symbol of the sun god in ancient Egypt until much later in the New Kingdom dynasties. These numerous degraded forms of the great original are merely deified idols from the pantheon of the Egyptian star religion, and the worship of the solar cult. One purpose of this study is to explore other symbolic functions and associations of the Great Sphinx prior to this corruption. As the star marking the link between Virgo and Leo, the alpha and omega signs [Rev. 1:8] of the Biblical zodiac, this prophetic message of the coming Messiah has endured as the largest, and most famous sculpture on the planet. The image of the Lord returning in judgment is marked in the Egyptian Planisphere by a youth bearing a branch.3 As the great colossal statue to the light of the world and monumental epitome of the Sun of Righteousness [Mal. 4:2], this great prophecy in stone of man’s coming redeemer, harmonizes with the witness to the Patriarchal astronomers and later, the Written Scriptures. This theme goes back to the likely prehistoric origins of the Great Sphinx, prior to the unification of ancient Egypt under Menes/Narmer. 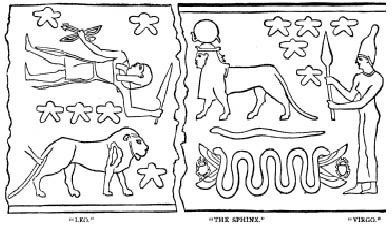 According to this and later research, the Great Sphinx was built as a representation of Virgo‘s head on the body of Leo the Lion.4 This union of zodiacal signs symbolized the start and finish of the ancient zodiac of the Biblical Patriarchs, as the celestial scroll relates the promise of a Coming Redeemer for Mankind. The original purpose of this great monument to man’s redeemer, as the embodiment of the Sun of Righteousness, became defiled in the heathen star religions of ancient cultures, that ultimately formed a myriad mythologies spreading across the face of the earth. The roots of the solar cult in Egypt, Babylon and many other cultures of the ancient world can be traced back to the misapplication of this idea, of the Sun of Righteousness. The following overview of some of the oracular and celestial aspects of the Great Sphinx will be new to many readers, but when taken in the context of the following evidence from Archaeo-Astronomy and the Bible, we can begin to see the Great Sphinx from a newly enlightened perspective. This memorial to the promised seed carved out of the Giza plateau, has stood for ages facing east, envisioning both the first and second advents of the Lord Jesus Christ. As the imperious sentinels of Giza, the Great Sphinx and the Great Pyramid are the foremost ancient monuments, having stood the test of time, foreshadowing the Son of God as no other landmarks in human history. These last surviving wonders of the ancient world have remained singularly poised, high above the barren shifting sands of human ignorance, safely founded on prehistoric bedrock of truth, prophesying of the Coming Promised Seed, in harmony with the stars and Scriptures. Their combined witness sounds out from the geographic center of the Earth’s landmass, ever ringing upward in concert with the testimony of the celestial luminaries. These monolithic monuments of the Giza plateau, the Great Pyramid and the Great Sphinx, serve as prime examples of our thesis, showing the roots of what Joseph Campbell called the world monomyth , the idea that all the world’s myths are rooted in one master overarching epic narrative. I believe as others have before me, that this master myth has celestial roots, and that these roots ultimately lead us to the Revelatory Astronomy of the Biblical Patriarchs, Adam, Seth and Enoch. It is my hope that the following overview of the Great Sphinx, from the Bible’s view, will serve as important step along this path of understanding. In our condensed survey of the Biblical Astronomy of the Birth and Return of Christ, a number of aspects of the Great Sphinx surface, that have either gone unnoticed or been misinterpreted in the past centuries. Our review of the celestial signs surrounding the birth of Christ gave us an introduction to some unique aspects of the Great Sphinx, which we will expand on in this study. A prime aspect of the heavenly signs linked to the Celestial Sphinx is that we find unique planetary conjunctions that took place marking the Birth of Jesus Christ, in the constellations Virgo and Leo. Since these are the zodiac signs that constitute the alpha-omega signs of the Hebrew Zodiac, forming the Celestial Sphinx, it embodies a living practical example of Biblical Astronomy that the Great Sphinx itself memorializes. As a prime example of Biblical Archaeo-Astronomy, the Great Sphinx is a true living artifact of the divine science of Biblical Astronomy that the Creator utilizes today, marking the heavenly signs of the Second Coming of His only Begotten Son. A consistent note of interest regarding these signs bearing the celestial seal and signet of the Great Sphinx, is that most of these signs occur during the three-week annual period when the Sun is clothing Virgo, [Rev. 12:1].6 This is relevant due to its symbolism of the genuine exaltation of Mary, the woman most highly blessed among women, because she believed the words of the angel Gabriel when he told her she would bear the promised seed. In addition, the Sun in Virgo marks the annual start of the Hebrew Civil Year, in the month of Tishri. In this light, we notice in the relief from the ceiling of the Temple of Esneh [Fig. A], the basic stellar figures of Virgo and Leo are unified in the Great Sphinx, pictured with the solar disk crowning the head of the woman-“sun clothing Virgo,” who is joined with the body of the Lion’s extended claws, above the serpent Hydra.7 This clear stellar image found at the same temple site housing the Dendera zodiac, provides strong archaeological support, not for the union of Virgo and Leo only, affirmed in the two stellar aspects of the Sphinx monument, but also the exaltation of the woman-Virgo. She is shown at the far right below, prominently holding her grain stalk, or branch as she is shown in the Dendera zodiac, symbolizing her bearing the promised seed and the light of the world. Her branch represents the Alpha Star of Virgo-Spica, Al Zemach, the branch or offspring of God the Father, [Jer. 23:5]. in the Great Sphinx, with the Sun in Virgo, as seen in the Temple of Esneh. The unity of the Biblical zodiac which starts at Virgo and ends in Leo. A Stone monument bearing parallel witness to the coming redeemer found both in the Stars and in Scripture. With this in mind, lets look at some specific stellar aspects of the Great Sphinx. The original teaching of the celestial witness of the signs of the zodiac is encapsulated in the signs Virgo and Leo and preserved in this ancient monument of the Giza plateau, the Great Sphinx. A key astronomical truth in support of this is seen in the crowned head of Virgo actually bridging about 10 degrees into the sign Leo on the ecliptic. We have already made reference to this in connection with the star Denebola. The star Sarcam in Leo, is a Hebrew word meaning “the joining“, saying that here is the point where the two ends of the Zodiacal circle have their joining.9 This is borne out in the decan Corvus, the bird of prey devouring Hydra the abhorred serpent, a decan of Virgo. This serpent actually mirrors these signs of the Stellar gospel-the Celestial Sphinx extending below Leo’s claws including the signs of Virgo the virgin and the Crab. As the Anti-Christ will present a counterfeit of the coming redeemer so we find this witness in the stars also. The bright star in the eye of Corvus the Raven, called Al Chibar in Arabic means “joining together,” referring also to the union of as these two ends of the true zodiac!9 This also fits with the start of the Hebrew calendar in Tishri, the equivalent of our September-October, the inception of the Hebrew Civil Year when the Sun was clothing Virgo. This truth is graphically depicted in the Dendera Zodiac Poster in the margin to the right, and available in our Bookstore. In addition to marking the Alpha and Omega of the celestial canon, the Great Sphinx mirrors the binding of Scripture together from Genesis to Revelation, as seen in the Red Thread references to Jesus as the Lion of the tribe of Judah in both Gen. 49:8-10 and Rev. 5:5, the first and last books of the Bible. Only Jesus Christ is qualified to “open the Book” of Scripture because he is the protagonist of the Greatest Book in History, and the Master-key to its interpretation and unfolding! Another indicator of the central importance to these stellar aspects of the Great Sphinx, is our recognition of the Celestial Sphinx, pictured below, Virgo and Leo the lion provide the basis for the signs of the triple union of Jupiter-Regulus in Leo, in 3 BC related to Gen. 49:8-10. This is the foundation key linking the Sphinx both to the Celestial Gospel and God’s Word, in their unified testimony to the Coming Promised Seed. 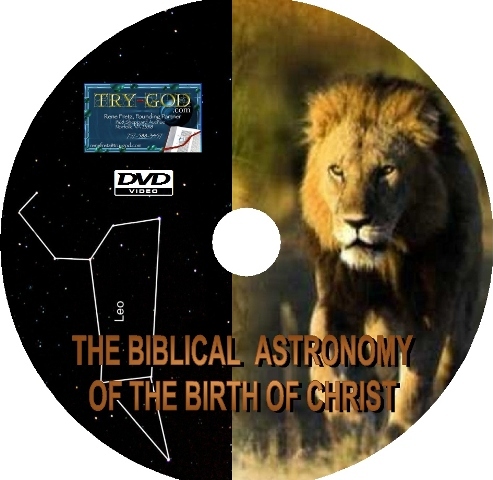 In the link below you can view an excerpt from my DVD teaching on the Jupiter-Regulus triple conjunction starting 3 days after Christ’s birth on Sept. 14th 3 BC. As we view the celestial context of this first union of Jupiter and Regulus, [Fig. 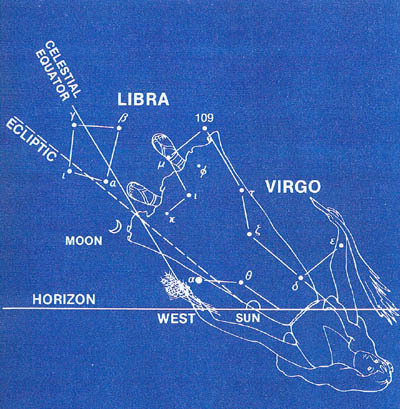 B] we can see the head of Virgo rising above the eastern horizon just below the full body of Leo the Lion on the ecliptic. This is the view of what an observer standing in Jerusalem facing east would have seen on this date, providing a clear aspect of the astronomical symbolism of the Celestial Sphinx as an important marker and monumental prediction of Jesus’ birthday on September 11th, a prophecy of the birth of Christ preserved in stone from antiquity! This serves as a monolithic marker to the prophecy provided in Rev. 12:1-5, in the sign of Virgo, further establishing this truth. We find these landmarks at the head and tail of the zodiac, which adds light to Dr. Martin’s observation that: “the woman Virgo is the Constellation of Headship for all 12 signs. The head position of Virgo is located within the last 10 degrees of Leo.”13 Virgo’s head is seen in Fig. B, just below and adjacent to the star Denebola in the tail of the Lion, unifying the circle of the zodiac. The Sphinx also unifies the Biblical canon, establishing the chronological order of God’s written revelation, in the Bible’s earliest book of Job. 1 The heavens declare the glory of God; and the firmament shows His handiwork. 2 Day unto day utters speech, and night unto night shows knowledge. 3 There is no speech nor language, where their voice is not heard. 4 Their line is gone out through all the earth, and their words to the end of the world. In them hath He set a tabernacle for the sun, 5 Which is as a bridegroom coming out of his chamber, and rejoices as a strong man to run a race. 6 His going forth is from the end of the heaven, and his circuit unto the ends of it: and there is nothing hid from the heat thereof. The word “line” in verse four refers to the ecliptic as the path in the Sun’s Tabernacle, at the end of the verse. 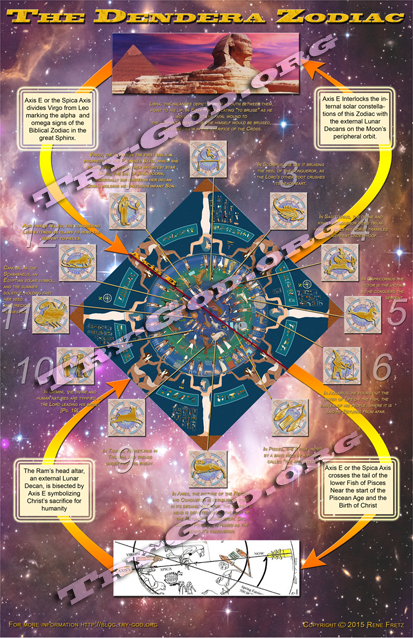 These 12 houses or “Tabernacles of the Sun” refer to the 12 signs of the zodiac and the 12 tribes of Israel, the Bride of the Bridegroom, [Gen. 22:15-19]. Here, the Bible compares the Sun to a Bridegroom in verse 5, running a race-course through the circuit of heaven, the 12 signs of the ecliptic and their decans. The Great Sphinx elucidates the details of Psalm 19 because it unifies these Tabernacles of the Sun, first with Virgo, the woman, the Bride-Israel and last with Leo, the Lion of the tribe of Judah. Thus, all 12 tribes are presented to the Lord in preparation for the Marriage Supper of the Lamb, preserved in a great monument of stone for the ages. As this ever-lasting monolithic witnesses to the Astronomy of the Biblical Patriarchs, the Great Sphinx and the Great Pyramid have timelessly preserved these statutes of Patriarchal Astronomy, timelessly. The witness of Scripture continues in the Book of Job, which contains more overt astronomical references, with ancient Biblical star names than any other book in the Bible. Canst thou bind the sweet influences of Pleiades, or loose the bands of Orion? Canst thou bring forth Mazzaroth in his season? Or canst thou guide Arcturus with his sons? Knowest thou the ordinances of heaven? Canst thou set the dominion thereof in the earth? This is logical from a Biblical perspective because other than the Books of Genesis and Job, all God gave His Patriarchs was the stellar witness and celestial narrative of the promised redeemer of man. When we consider the Hebrew word “mazzaroth,” we find a very early reference to the 12 signs of the zodiac, occurring only in Job. There are later references to the 12 signs of the ecliptic in Scripture, but this gives us more evidence of the antiquity of this knowledge of the entire zodiac, in the context of the Biblical Patriarchs. When Job spoke these words however, the Bible, or even the Pentateuch had not been written yet by Moses the lawgiver. Thus, we see in verse 23, Job’s desire that his book would be part of the sacred written oracles that would correspond to this bedrock truth of the Great Sphinx, engraved in stone as a testimony to his coming redeemer. The witness of the stars, especially when combined with God’s Written Word have an impact against the darkness of this world. Another occurrence of “Lawgiver” is seen below in Genesis 49, also a listing of the Tribes of Israel, all of which refer to the Biblical zodiac, containing celestial and Scriptural links to each of the tribes. These Biblical lists of the 12 tribes of Israel are refined in the discussion of the breastplate of Israel’s High Priest, that also models its symbolism of the Hebrew Zodiac, or Mazzaroth. There is no man who is able to halt these celestial cycles and seasons set in motion by the Creator, thus the surety of the return of His promised seed for his people is set in the firmament, in stone and embodied in the Man Christ Jesus, is a mandate from heaven! “The sceptre shall not depart from Judah“- “sceptre” is shebet in the Hebrew, the same word used in Numbers 24:17; referring to the “star out of Jacob and sceptre of Israel.” This star out of Jacob is a clear reference to the King planet Jupiter which is covered in detail in the Astronomy of the Birth of Christ section of the [www.try-god.com] web-site. “lawgiver from between his feet“- Regulus the king star and the alpha star in Leo. “The Arabic word “regel” means “foot” and is identical in meaning to the Aramaic word “regla” and the Hebrew word “regel” tying in with “from between his feet” above. 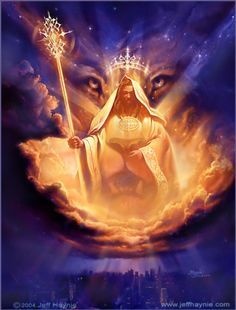 In this one verse the Lion of Judah, Leo, intertwined with the lawgiver coming from between his feet, symbolizing the king star Regulus [see Psalm 60:9]. This gives a clear Biblical picture of the stellar elements of the Jupiter-Regulus triple union in Leo the lion of the tribe of Judah revealed in the 3 aspects of Genesis 49:9! “Lawgiver“- *H2710 [chaqaq] meaning; to cut or engrave, inscribe, establish, ordain, to decree, to be a leader, a ruler, a lawgiver; a scepter. It occurs 19 times in the Hebrew O.T. The primary meaning is “writing or drawing in the sense of etching” [Isa. 30:8; in a book] The root can mean to enact a decree [In Prov. 8:15 its used of a governor decreeing justice with wisdom.] This word [chaqaq] attests to the power of the coordinated decrees of God’s Word first written in the stars, then later in stone and in the Scripture, providing a great precedent for the idea of all language being rooted in the celestial alphabet. [Ex. 32:13-16]. Finally the Word (logos) was made flesh in Jesus Christ, and God’s Word incarnate dwelt with us. These manifold witnesses to God’s omnipotent glory and Grace, all incorporate the awesome beauty and mathematical Symmetry that unveil the accuracy of all His means of divine revelation, embodied in the spoken and written word, in the stars in stone and finally in the flesh. As the Red Thread and master key to the interpretation of God’s Word, Jesus is the lawgiver, after the form of Moses, the one decreeing righteous judgment as the embodiment of the Word made flesh. With this historical and Biblical background on the Great Sphinx, and its celestial reflection in the birth of Christ, we will now move to the context of the Celestial Sphinx in the end-times. In view of the current celestial showcase of heavenly signs surrounding to 9-23-17 replay of the Rev. 12 signs, there are matched sets of triple planetary conjunctions taking place. As we fast-forward to current events, in past light of Jupiter’s role in the Celestial Prelude, the 2017 triple conjunction of Jupiter-Spica was heralded by two Mercury-Spica unions in 2015, within a 6-week period. The first conjunction occurred Sept. 17th, 2015, and the 2nd on October 29th, 2015. Mercury-Gabriel, as messenger arch-angel gives two proclamations resulting from its retrograde motion, foreshadowing Jupiter’s 2017 retrograde motion in Virgo, forming a triple conjunction of Jupiter-Spica. This is part of the first set of planetary triple unions we will focus on in the next few blogs. Mercury-Gabriel establishes the triple union of Jupiter-Spica on Oct. 11th, 2016, that followed in a pre-dawn union with Jupiter, as Mercury passed within a degree of Jupiter in a Sunrise union. Remember that this takes place during the Jupiter-Venus conjunction series from 2015-2017, as part of the Celestial Sphinx signs in Virgo and Leo. This conjunction series includes 2 triple unions of Jupiter-Venus, one each in Leo then in Virgo, the head of the Woman united with the body of the Lion, as the two main components of the Great Sphinx, unifying the circle of the Hebrew zodiac in its alpha and omega signs. We find this manifested at the birth of Christ in a dazzling Jupiter-Venus conjunction in Leo on June 17th of 2 BC. It was also 2 Jupiter-Venus conjunctions that actually bracketed the majority of heavenly signs marking the birth of Christ in 3-1 BC. A guiding principle of the study of the Celestial Sphinx dictates that we should be watchful of activity in the heavens related to both components of the Celestial Sphinx. 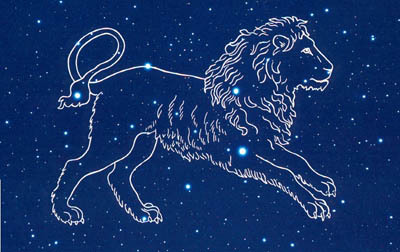 For instance, with Jupiter’s recent retrograde activity in Virgo, we also find important events in Leo around the king star Regulus-the heart of the Lion. The 1st Jupiter-Venus Conjunction marking the birth of Christ took place on August 31st 3 BC, in Leo, with the last one occurring on August 21st 1 BC, in Virgo. Here we find an interesting variation on a Celestial Sphinx sign directing us to the planetary unions of Jupiter-Venus, marking the initial fulfillment of the Rev. 12:1-2 prophecy relating to the sufferings of Christ in his ministry as the Passover Lamb. This alerts us that we should look for similar Celestial Sphinx signs as a precursor to the Lord’s Second Coming. Keeping in mind the context of the triple conjunctions of Jupiter-Venus and the Celestial Sphinx signs, other triple planetary conjunctions related to the Celestial Sphinx will also arrest our attention. First lets document the recent activity of Jupiter and Venus related to the Celestial Sphinx. However, before the final Jupiter-Venus union in Virgo, Jupiter starts its 42-week retrograde motion in Virgo’s womb, during which time Jupiter completes another triple conjunction with Spica in Virgo! As we can see Jupiter’s dance card is very full in 2017. 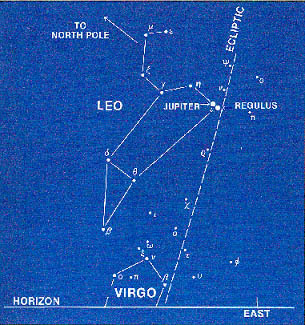 The precedent for this at the birth of Christ is seen in the coronation of God’s only begotten Son in the heavens with the triple conjunction of the King planet Jupiter with the King star Regulus in Leo in 3-2 BC, starting 3 days after Christ’s birth, based also on Jupiter’s retrograde motion. As we have seen regarding Jeremiah’s messianic prophecy [Jer. 23:5], Jupiter the sedeq planet is linked with the Messiah, Jesus Christ the righteous zemach-branch, in one of 5 primary Old Testament prophecies regarding the Branch-Al Zemach, as Jesus Christ, the Coming Promised Seed. As we view the Sept. 9th birthing of Jupiter from Virgo’s womb, completing Jupiter’s retrograde in Virgo, we also find important events in Leo around the king star Regulus the heart of the Lion. 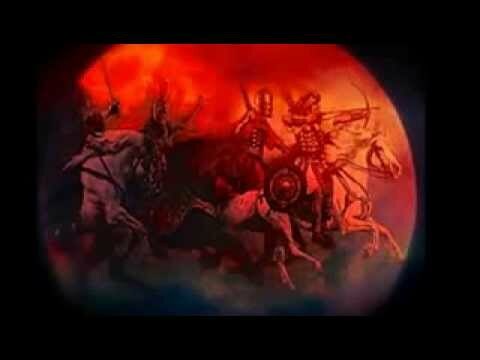 We can see both Mars-Michael the warrior arch-angel and Mercury-Gabriel the messenger arch-angel in close vicinity with Regulus, as Jupiter is delivered. With Jupiter’s birthing on Sept. 9th, a Mercury-Regulus conjunction also occurs on 9/9/2017. This is a revelation because the Mercury-Regulus union is part of another triple conjunction based on the retrograde motion of Mercury in Leo concurrent with Jupiter’s retro dance in Virgo. This is added link unifying the two aspects of the Celestial Sphinx, is the 2nd matched set triple crowning unions leading to the replay of the Rev. 12 sign on 9/23/17. Figure C. Planets in Leo around Regulus from 9-9-17 to 9-17-17. Next on Sept. 16th, a Mercury-Mars union follows. Here we see Mercury-Gabriel heralding the King star Regulus, followed by a union of Gabriel with Mars-Michael, showing their solidarity with the Lord Jesus Christ, in their stance against the red dragon of Rev. 12:3-4. After this on Sept. 20th was an alignment of Venus-Regulus related to the Great Pyramid, seen below. Figure D. Great Pyramid Star Shaft Alignments on Rosh Hashanah 2017. Here the star shafts of the Great Pyramid according to the Christ Angle, agree with the Celestial Sphinx, as Regulus and Venus are aligned in Leo the Lion, while Jupiter is in Virgo. The Venus-Regulus conjunction in Leo on Sept. 20th is shown below. We also find the Sun entering Virgo in preparation of “Clothing” the celestial virgin in light, in the annual 20-day period the Sun spends in Virgo. This not only recalls the kinship between the cycles of the Sun and Jupiter, but was also forecast two years earlier on Sept. 17th, 2015, as a trait of the Celestial Prelude, when the Sun entered Virgo, with a cluster of signs, shedding light on the replay of the Rev. 12 sign two years later. As was the case at the birth of Christ the dispostion of Spica revealed the details and exact timing of Jesus’ birth. In 3 BC, it was the setting times of the Sun and Moon that framed the setting time of Spica, the branch and offspring of God the Father. So Spica plays a key role also in the replay of the Rev. 12 sign of 2017. On Feb. 9th, 2017 Jupiter first appears to stand still, beginning its retrograde motion, as seen in Figure 2. below. Figure 2. February 9, 2017, Jupiter appears to be stationary. On Feb, 23rd, 2017 Jupiter passes Spica a second time in retrograde nearly 4 degrees apart, as seen in Figure 3 below. Figure 3. Second Jupiter-Spica union on Feb. 23rd. On June 8th, 2017 Jupiter ends its retrograde motion, returning to its normal easterly orbit. 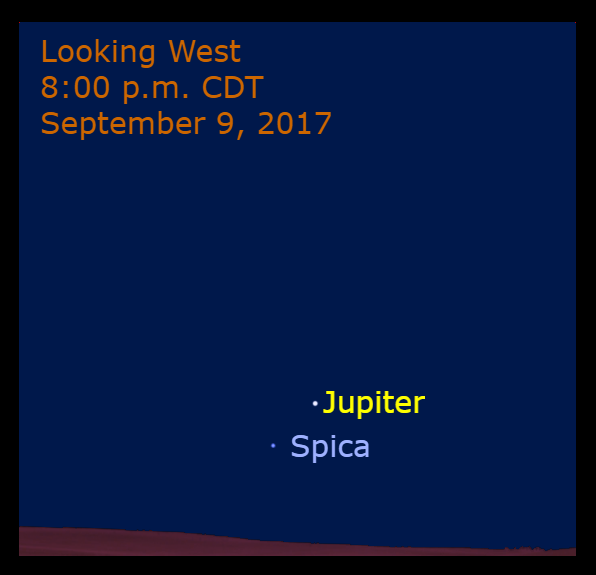 Then on Sept. 5th, 2017 Jupiter passes by Spica for the third time, completing its 2017 triple conjunction. We find this pictured below in Figure 4. Figure 4. Jupiter following its 3rd union with Spica, on Sept. 5th, this time only 3.3 degrees apart, seen above on Sept. 9th, 2017 exiting Virgo’s Womb. This was four days prior to Jupiter exiting the womb of Virgo, in its gestation period with Spica on Sept. 9th , 2017. With Jupiter the King Planet’s triple crowning of Spica the branch and offspring of God, in Virgo, we see the alpha sign of the Celestial Sphinx highlighted, with the crowing of its alpha star. Figure 5. Jupiter-Venus union with Mars also in Virgo. This is also two weeks prior to the replay of the Rev. 12 sign in Virgo on Sept. 23rd, 2017. Jupiter and Spica then merge into the Sun’s brilliance in a Solar union on October 27th, before the King Planet Jupiter returns to its engagement with Venus the Bright and Morning Star to complete its triple union in Virgo on Nov. 13th, 2017, as seen above in Figure 5. Also in Figure 5 above we find Mars-Michael in Virgo. 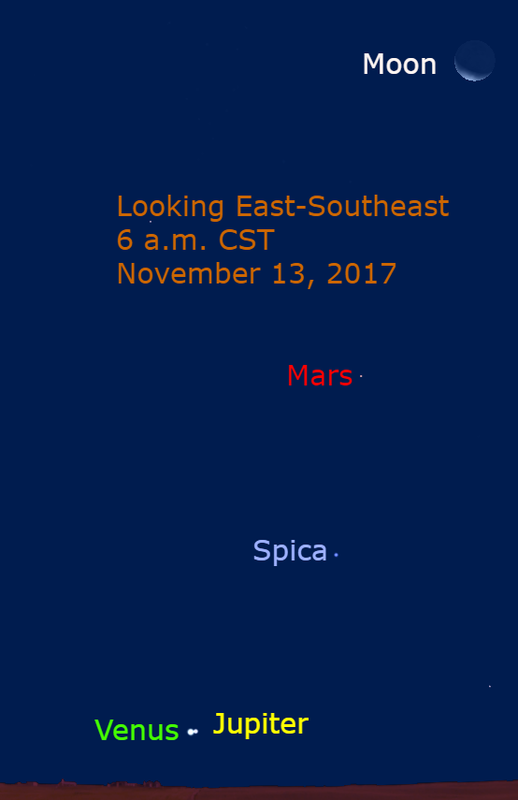 Part 2 of this blog will exhibit how the triple conjunction of Mars-Spica in Virgo in 2014 foreshadowed this triple union of Jupiter-Spica in 2017. The Heavenly Father is surely doing His best to get our attention with these aspects of the Celestial Scroll jumping out of the sky for those paying attention! What a great way to emphasize his Season of Repentance that started with the Aug. 21st Total Solar Eclipse leading to Yom Kippur-the holiest day on the sacred Hebrew Calendar, the Day of Atonement. May the peace of God rule in your hearts as you walk daily with the Lord. 1 Ancient Egypt, Lorna Oakes & Lucia Gahlin, p.428. 3 Star Names their Lore and Meaning, R.H. Allen. p. 465. 4 Star Lore, Myths, Legends and Facts, William Tyler Olcott, p.386. 6 The Star that Astonished the World, Earnest Martin, p.187. 11 The Atlantis Blueprint, Colin Wilso & Rand Flem-Ath. ppg 167-172. 12 Jesus Christ our Promised Seed, V.P. Wierweille, p. 45. 13 The Star that Astonished the World, Earnest Martin, p.186.